CHICAGO — Adam Novak wants two years of nonstop work to be showcased to Chicago. Earlier this decade, the Humboldt Park-based photographer/artist teamed with Sara Collins and Andrew Zoechbauer to create the "I Am Chicago" project. 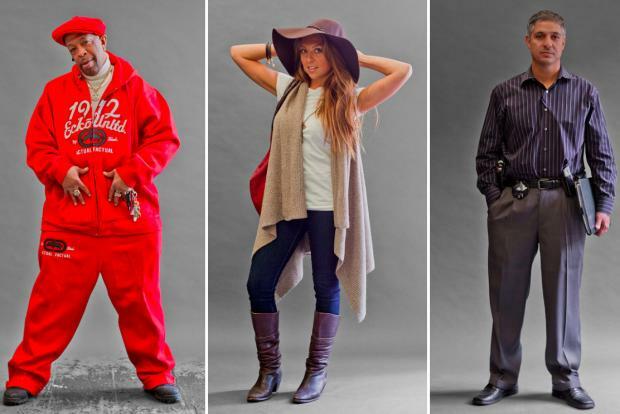 Over two years, the trio set up 30 mobile studio locations across the city, photographing countless Chicago residents in their everyday clothing. This included everything from bikinis at beaches to prison suits at the Cook County Jail. Novak this week said he's in the process of showcasing the project at a Chicago gallery, although nothing's been finalized. His goal is to have a Chicago-shaped map featuring the photos, with Edison Park pics in the top left of the exhibit and Hegewisch in the bottom right. "That's the dream," Novak said. In the meantime, the "I Am Chicago" website still contains countless photographs of the city citizens, whose full names aren't revealed. Check out some amazing photos below or online.